Barnett serves as an in-house consultant on the nonprofit business model in journalism for AARP’s publications and digital strategy groups. Among other things, he advises AARP executives on potential new strategies and tactics for engaging members through high-quality journalism. Barnett also is studying nonprofit management at The George Washington University. He writes a related blog on nonprofits in journalism for the Nieman Journalism Lab at Harvard University and at journalismnonprofit.blogspot.com. In this role, he has appeared as a commentator on Jeff Jarvis’ New Business Models for News site and on Bob Garfield’s “On The Media” show on National Public Radio. Previously, Barnett worked 20 years as a newspaper reporter, first at The (Raleigh) News & Observer and the last 10 years as a correspondent in the Washington bureau of The Oregonian, where he specialized in investigations based on economic data. He built a model of President Bush’s plan to privatize Social Security, which revealed structural biases against people in their 40s, and his reporting showed how the Bush OMB’s proposed clean-air regulations conflicted with pro-life values. As a master’s candidate at the University of North Carolina in the mid-1980s, Barnett studied under Philip Meyer, an early advocate of the nonprofit model, and he attempted in 2005-06 to launch a nonprofit newsroom that would cover federal and state government using the principles of Meyer’s seminal work, Precision Journalism. His undergraduate degree is from Georgetown University, and he is an avid Hoya fan. Teeming Media is a digital media consultancy focused on matching creative strategies with measurable goals in social and interactive platforms. Dorian has devised business and publishing strategies, workflows and training programs for websites, blog networks, publications, TV shows, events companies, best-selling authors and others, helping them increase audience and revenues using editorial, marketing, social media, advertising and direct commerce methods and tactics. Benkoil is frequently asked to speak at leading media industry events and conferences, and teaches Digital Marketing to MBA students at the Zicklin School of Business in New York He has written and produced hundreds of articles and videos on digital media, for Paid Content, CNET, mediabistro, the Knight Citizen News Network, Jack Myers Media Business Report, his own blog www.mediaflect.com and show Naked Media and is currently a regular contributor to the Poynter Institute’s e-Media Tidbits blog as well as PBS MediaShift, where he has been leading sales and marketing initiatives. An MBA who graduated top five in his class at Zicklin, he is also an award-winning journalist and former foreign correspondent for The Associated Press and Newsweek. 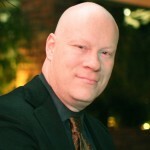 As founding international producer, then managing producer at ABCNews.com, Dorian led teams to some of the site’s first and most prestigious awards and later helped earn the site millions of dollars through advertising and business development. Dorian’s company, Teeming Media, partners with We Media on video and event production, and he wrote last year’s We Media “Game Changer” awards essays. On the personal front, he loves tennis, skating, cross-country skiing, world cuisines and speaking Japanese, French, and gibberish with his spouse and children in New York. 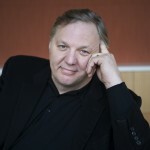 Boyd, a renown authority on social tools and their impact on media, business, and society, works as an analyst, advisor, futurist, and researcher. He also writes extensively at /Message. Speaking engagements on the social revolution on the Web include Web 2.0. Enterprise 2.0, Next, mesh, Reboot, 140 Characters, Lift, Les Blogs, Shift, Futuresonic, Defrag, Supernova, and many others. Boyd’s key areas of expertise and concentration include: Advising companies involved in the development of social tools, often startups. Tactical consulting such as short-term product assessment, workshops on social architecture. Boyd is regular speaker at conferences and corporate meetings. Here are some recent and upcoming talks. Developed a webinar series called Social Architecture, starting in March 2010 to be launched. Boyd is president of the Microsyntax.org non-profit, and director of the related 301Works.org initiative of the Internet Archive. 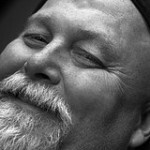 Boyd is also working with Jeff Pulver on a new conference called Social Business Edge, planned for April 2010 in NYC. Director of Future of Public Media project at the Center for Social Media. Scholar in Residence at American University’s School of Communication. Knight Media Policy Fellow at the New America Foundation. Over the past few years, Jessica has worked on a series of research projects examining the shifting media ecology, including reports on best practices in digital journalism for the Corporation for Public Broadcasting, the prospects for news within public broadcasting for Harvard’s Berkman Center, and the role of new media in youth civic engagement for University of London’s Centre for the Study of Children, Youth and Media. She regularly contributes articles on media and culture to PBS MediaShift and The American Prospect. Prior to working with the Center for Social Media, Jessica’s career focused on creating, writing and fighting for independent media. From 2002-09, she worked on every facet of In These Times, a national monthly magazine of news, analysis and cultural reporting, serving as its editor-at-large, executive editor, managing editor, associate publisher and assistant publisher. There, she also organized several events addressing the intersection of art and politics, including the successful Chicago stop of Stay Free! magazine’s controversial exhibit, Illegal Art: Freedom of Expression in the Corporate Age. From late 2001 through 2002, Jessica was the co-editor for LiP Magazine, which championed “dangerous humor, liberated eroticism and informed revolt.” She served on the steering committee for the Midwest office of the Independent Press Association, and has worked on a wide variety of media activism efforts with organizations like The Free Press and Media Matters for America. Jessica has also held editorial positions at Britannica.com, the Library of Congress, and the American Association for the Advancement of Science, and marketing positions at the Field Museum and the University of Chicago Press. She earned an MA in Social Sciences and a BA in English from the University of Chicago. Tom Curley is the 12th person to lead The Associated Press since its founding in 1846. Under his leadership AP is moving rapidly to capture the growing audience for digital and video news and assure AP’s relevance in the rapidly changing media world. Curley also has deepened AP’s longstanding commitment to the people’s right to know and serves as one of the nation’s most aggressive advocates for open government. As part of his strategy for the digital age, Curley has charted an international plan to drive content and new business. A first milestone was the creation of a multimedia database that allows all AP content to be searched by AP journalists and customer alike. AP has added content for finance, on-line video and entertainment audiences. Curley has established programs to encourage and celebrate exceptional journalism. AP became the first western news agency to open a bureau in Pyongang, North Korea, and added staff in Latin American, Asia and the Mideast, including Iraq where AP has more than a hundred journalists. Among recognition during Curley’s tenure are the 2005 Pulitzer Prize for Breaking News Photography, awarded to AP for its work in Iraq, and the 2007 Pulitzer Prize for Breaking News Photography, awarded to AP for a West Bank photo. Curley first outlined his plan for increased open government in May, 2004, calling on news industry colleagues to do more to protect freedom of information. “The powerful have to be watched, and we are the watchers,” he said in his hallmark Hays Press Enterprise lecture, which can be read at http://www.ap.org/pages/about/whatsnew/hayspress.html. That year, the Associated Press also played a critical role in the establishment of a coalition of news organizations and journalism-related groups to promote accessible, accountable and open government. The Washington, D.C.-based Sunshine in Government Initiative seeks to combat what Curley and other media groups see as increased government secrecy since the 2001 terrorist attacks. After Sunshine Week 2005, Curley told the National Freedom of Information Coalition that “the most important battle lines are drawn and the greatest advances on FOI have been made in your bailiwicks — in county seats and city halls and statehouses.” AP handles more than 40 actions a year to assure journalists have access to events, proceedings and information and, under Curley, has led the way in seeking information on the hundreds of detainees being held nameless and incommunicado at the U.S. Naval Base in Guantanamo Bay, Cuba. During Sunshine Week 2006, Curley was inducted into the National Freedom of Information Act Hall of Fame. In July 2006, the National Press Club presented Curley with its John Aubuchon Freedom of the Press Award for extraordinary efforts to raise awareness and strengthen support for freedom of information issues. Curley, representing the Sunshine in Government Initiative, testified at a Senate Judiciary Committee hearing on FOIA during Sunshine Week 2007. In October 2007, the Reporters Committee for Freedom of the Press presented a First Amendment Award to Curley. RCFP said he was selected because of his work encouraging media organizations to fight for the public’s right to know what’s going on in government. Aki is helping allvoices with Marketing while he is the CEO of Kalat. 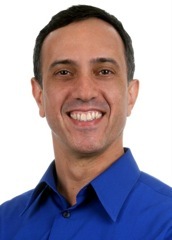 Aki brings over 20 years of management experience in consumer and business services. As President and COO of Nextdoor Networks he was responsible for all of the operations, with a focus on sales, business and corporate development, product marketing, and customer implementations. Previously, he was the Executive Vice President of Terra Lycos Quote.com and Vice President of Reuters America. His career spans 20 years working in a variety of senior management roles in start-ups, and global fortune 500 organizations including Quote.com, Knight Ridder and Morgan Stanley. Aki has worked with small and large teams to develop business from their early stages through to market leadership. “The Takeaway” hosted by John Hockenberry and Celeste Headlee, marks John’s return to his roots in public radio—where he was one of the medium’s original innovators —after 15 years in network and cable television. During his time at ABC and NBC, he earned four Emmy Awards, three Peabody Awards, an Edward R. Murrow Award, and a Casey Medal. Hockenberry has also been recognized for his pioneering online content, hosts the award-winning public radio series The DNA Files, is a weekly commentator for the series The Infinite Mind and currently sits as a Distinguished Fellow at the prestigious MIT Media Lab. At NBC, he served as a correspondent for Dateline where his work ranged from an intimate portrait of a schizophrenic young adult to an investigative piece that traced internet swindlers in an international web to the first and only interview with the brother of two of the 9/11 suicide hijackers. He also hosted two of his own programs for MSNBC, Hockenberry and Edgewise. Hockenberry was one of the first Western broadcast journalists to report from Kurdish refugee camps in Northern Iraq and Southern Turkey. During the first Gulf War, he reported Israel, Tunisia, Morocco, Jordan, Turkey, Iraq and Iran. Hockenberry also spent two years as a correspondent based in Jerusalem during the most intensive conflict of the Palestinian uprising. Hockenberry is a contributing editor for Metropolis magazines and has written for The New York Times, The New Yorker, I.D., The Columbia Journalism Review, Details, Conde Nast Portfolio, Wired and The Washington Post. Born in Dayton, Ohio, Hockenberry grew up in upstate New York and Michigan, and attended the University of Chicago and the University of Oregon. He and his wife Alison live in Brooklyn with their two sets of twins, Zoe, Olivia, Zachary and Regan. 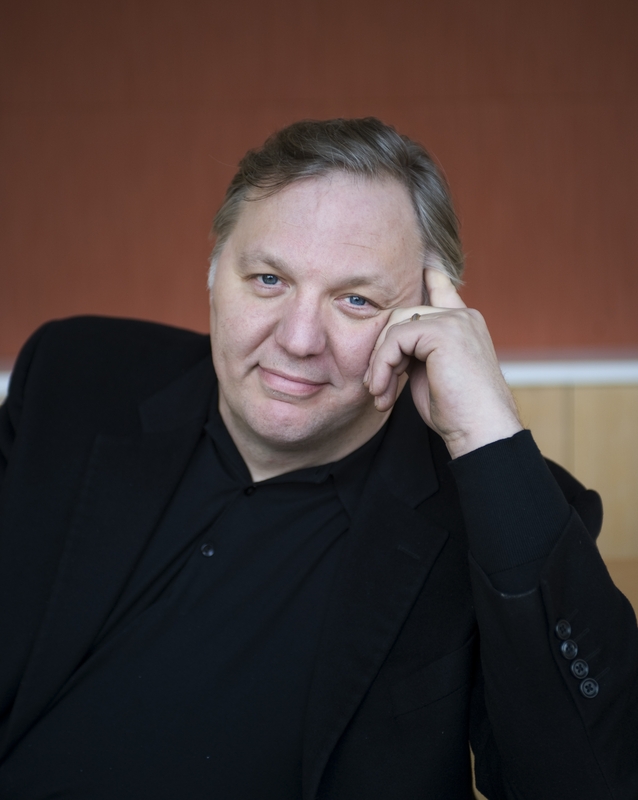 “The Takeaway with John Hockenberry” is a co-production of WNYC and Public Radio International, in collaboration with The BBC World Service, The New York Times and WGBH Boston. The Knight Foundation promotes informed, engaged communities in the digital age. Ibargüen is the former publisher of The Miami Herald and of El Nuevo Herald . During his tenure, The Miami Herald won three Pulitzer Prizes and El Nuevo Herald won Spain’s Ortega y Gasset Prize for excellence in journalism. He studied at Wesleyan University and the University of Pennsylvania Law School. Between college and law school, he served in the Peace Corps in Venezuela’s Amazon Territory and in Colombia. He practiced law in Hartford, Connecticut until he joined The Hartford Courant, then Newsday in New York before moving to Miami. Ibargüen is chairman of the board of the Newseum in Washington, D.C., a museum dedicated to free speech and free press. He also chairs the World Wide Web Foundation, founded by the inventor of the World Wide Web, Sir Tim Berners-Lee. He is a member of the board of PepsiCo, AMR Corp. (American Airlines), ProPublica and of the Council on Foreign Relations. Over the years he has served on the boards of arts, education and civic organizations including The Lincoln Center for the Performing Arts, the Committee to Protect Journalists, Wesleyan University, Smith College and the Trustees’ Council of the National Gallery of Art and was chairman of the board of PBS. For his work to protect journalists in Latin America as part of the Inter American Press Association, Ibargüen received a Maria Moors Cabot citation from Columbia University and George Washington University awarded him an honorary Doctor of Letters. 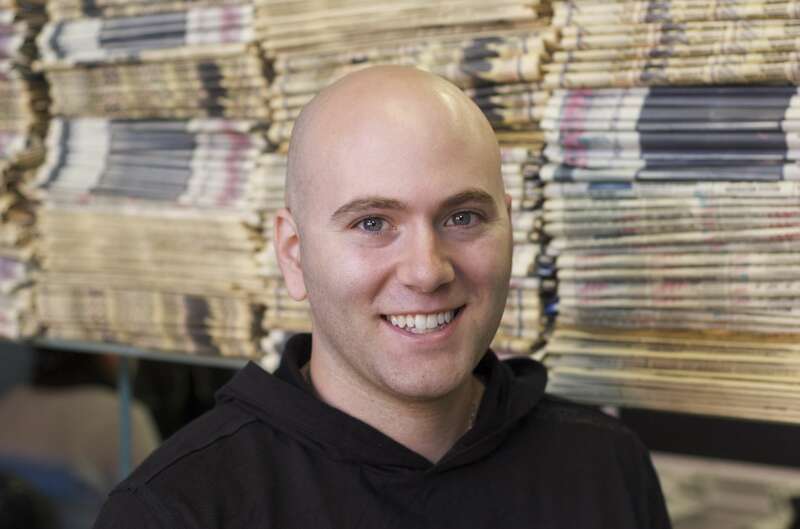 At Sacramento Press Ben focuses on operations and oversees every department. 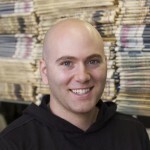 Ben sets the vision and process for the online media outlet and runs customer service. With direct input from his team, Ben defines the business and technology road map for the organization and works to continually refine the “hyper-local” model to reclaim community. Prior to his current position, Ben founded No Snakes Agency and managed Brooklyn-based rapper/producer P.Casso. He previously interned with California State Assembly Member Darrel Steinberg, who is now Senate President pro tem. Ben grew up in Sacramento and graduated from The University of Rochester with a B.A. in Economics and Political Science. Matt Jacobson is a business strategist, problem solver and transaction facilitator who has helped many early stage companies define and execute their business plans. Matt oversees all of the activities of LaunchBox Digital including operations, administration, investments and programming. 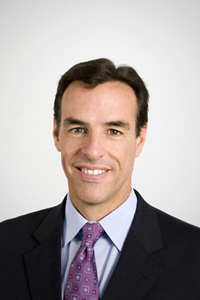 Previously, he was a Vice President at AOL where he lead major strategic corporate initiatives, and helped define and grow AOL’s wireless and digital service businesses. Matt previously served as an M&A advisor at a number of investment banks including ABN AMRO, WR Hambrecht, Peter J. Solomon Co. and Toronto Dominion Securities. He received an MBA from the Wharton School at the University of Pennsylvania and a BA from the University of Pennsylvania. PBS is the nation’s largest non-commercial media organization with more than 350 member stations throughout the country. 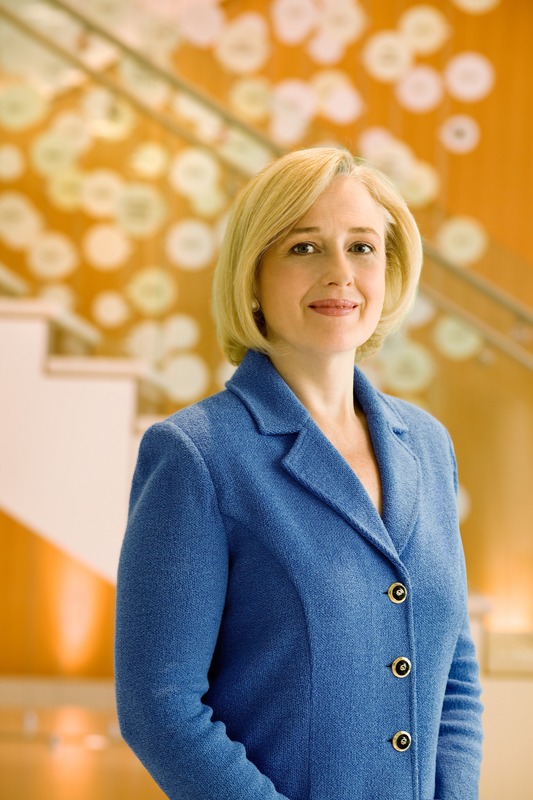 Since she arrived at PBS in March 2006, Ms. Kerger has made particularly strong commitments to the arts, news and public affairs, high-quality content for education, diversity, and the use of new technology to bring public service media into the lives of all Americans. These initiatives have been recognized by groups ranging from the Academy of Television Arts & Sciences to the Parents Choice Foundation. The rapid growth and critical acclaim for the PBS online video services, www.pbs.org and www.pbskids.org, help ensure that PBS programming is accessible across multiple platforms to families in every part of the US and, increasingly, to a global audience. The Center for Applied Philanthropy (CAP) is a new advisory firm focused on catalyzing the adoption and use of ‘nontraditional’ capital (structured as mission investments) among philanthropic organizations to help leverage traditional funding streams and create a new paradigm in philanthropy. 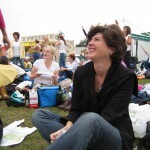 In her current role, Andrea focuses her activities on CAPs advisory work with philanthropic organizations, outreach and education with nonprofit organizations, research and knowledge development, and building relationships with practitioners and others in the field. Prior to joining CAP, Andrea worked as a consultant and researcher with nonprofits, venture funds, think tanks and academic institutions in the United States and the United Kingdom, developing a broad perspective of the field of social enterprise and innovation. 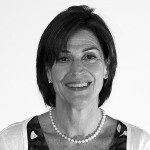 Her work has been driven by issues critical to scaling impact, including examinations of ‘capital’ needs in the field (knowledge, human, financial) and how policy changes and collaborations between social enterprise and government could help foster, support, and scale innovation in the sector. She has collaborated with centers of social enterprise and management at Duke University, Yale University, Harvard Business School, and the Harvard Kennedy School on a variety of projects. She also manages and advised entrants in social enterprise competitions. Andrea’s interests in field-based initiatives focus on scaling innovation through improved collaboration among the sectors and the development of a robust social capital marketplace. 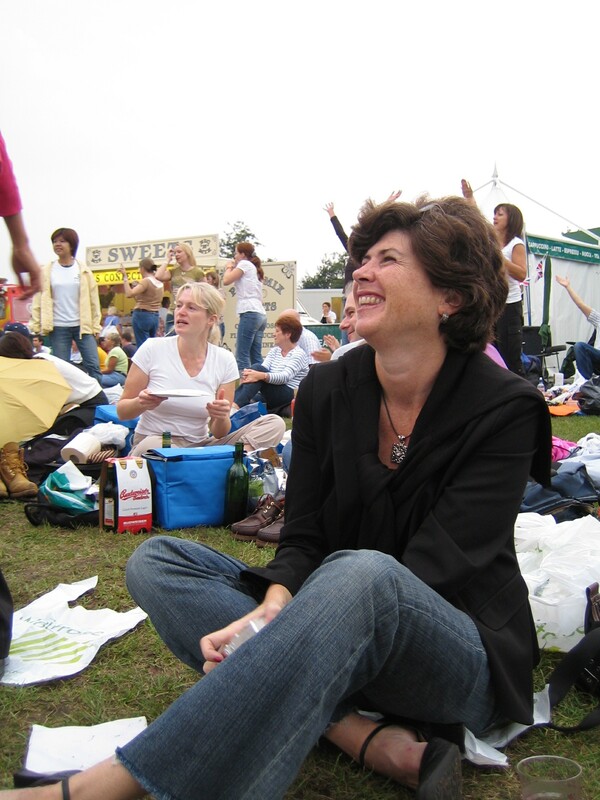 Andrea began her career as a fundraiser, and then earned an MBA and joined a global Fortune 500 financial services organization, where she worked as a senior consultant and project manager in operations, worldwide marketing, and global competitive intelligence. Andrea earned her AB from Boston College, her MBA from the University of Connecticut, and her MPA from the Harvard Kennedy School of Government. Prior to co-founding and serving as CEO of Mashery, Oren Michels co-founded WiFinder, an international provider of directory services for public access wi-fi hotspots. He was president of Colt HR, a mid-market benefits administration software and service; and Winebid.com, a online wine auction service. He also served as president and CEO of The Groundlings, a Hollywood-based entertainment production company. 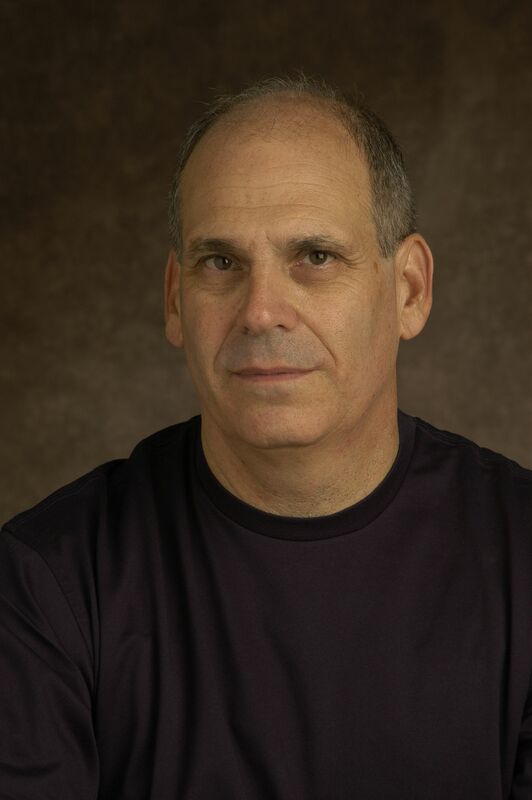 Oren worked as vice president of business development at Feedster, where he managed the company’s activities in China and negotiated partnerships with AOL, Real Networks, and Mitsui. Sunlight Foundation is a Washington-based, non-partisan non-profit dedicated to using the power of the Internet to catalyze greater government openness and transparency. She is the founder of two other prominent Washington-based organizations in the field of money and politics — the Center for Responsive Politics and Public Campaign — and a nationally recognized expert on transparency and the influence of money in politics. Her experience as a Washington advocate for more than 35 years spans the worlds of non-profit advocacy, grassroots activism and journalism. Ms. Miller’s work has recently been featured in Washingtonian Magazine (“100 Tech Titans,” May, 2009), Fast Company, (“The Most Influential Women in Technology,” January, 2009), WIRED Magazine (“15 People The Next President Should Listen To,” October, 2008), The Chronicle of Philanthropy (“Seeking Online Exposure,” January, 2008). 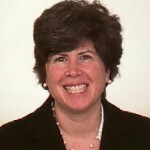 Ms. Miller also served as Deputy Director of Campaign for America’s Future, the publisher of TomPaine.com and a senior fellow at The American Prospect. She spent nearly a decade working on Capitol Hill. She blogs regularly at SunlightFoundation.com. Andrew is co-founder and CEO of iFOCOS and managing director of the We Media conferences, awards, community and media innovation firm. Andrew is an internationally recognized expert on media innovation, technology, entrepreneurship and cultural trends and a leading advocate for applying media tools, techniques and insights to make the world a better place for everyone. He was previously director of The Media Center at the American Press Institute. He’s a writer, story-teller, guide and online publishing veteran who learned from remarkable teachers: the art of fiction from novelist Frank McCourt, computer programming from BASIC creator John Kemeney, and social activism from David Bradley, a witness to Pacific island nuclear tests. 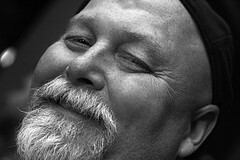 He has reported and edited for The Associated Press; written for The New York Times, Infoworld, Audubon and other magazines; managed one of the world’s most ambitious small-market newspaper Web sites, lawrence.com; played clarinet at Tanglewood and Carnegie Hall; studied wildlife, development and environmental policy in Kenya; spoken on media convergence and business strategies in Asia and Europe; and currently serves on the board of the World Editors’ Forum and as an advisor to NewsTrust. He has published two short stories (fiction), written many others and swears there’s more to come. He earned a bachelor’s degree in philosophy at Dartmouth College and lives with his wife and two sons in Reston, Virginia. Find Andrew: Twitter | We Media Community | Facebook | LinkedIn. Follow We Media: Facebook | Twitter. 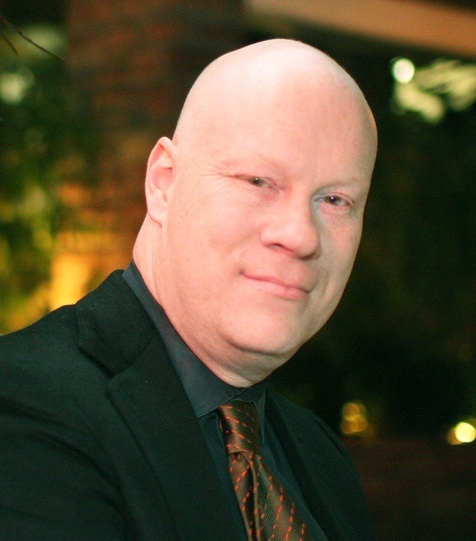 Dale is founder and chief knowledge officer of iFOCOS and managing director of the We Media conferences, awards, community and media innovation firm. Dale is a widely engaged expert advisor on media and communications business and creative strategies, information design and innovation. He was the executive director of New Directions for News, a media futures think tank that merged with The Media Center in September 2003. Prior to joining NDN, he was a vice president of Belo, the Dallas-based media company, where he launched the company’s initiatives in new media and media convergence. At Belo, Dale served as editor of Dallasnews.com and as an assistant managing editor of The Dallas Morning News. He was a founding officer of Belo Interactive, Belo’s network of news Web sites. Dale has served as deputy managing editor of The Detroit News and The Rochester Democrat & Chronicle, and managing editor of the Tribune Chronicle. Dale’s awards include NAA’s Digital Edge Award for Pioneering Online Journalism, the Sigma Delta Chi Award, and four Gold Medals from the Society for News Design. He was part of the team at The Detroit News that won the Pulitzer Prize. Find Dale on Facebook. Follow We Media: Facebook | Twitter. An integrated media specialist, community catalyst and author of 33 Million People in the Room : How to Create, Influence and Run a Successful Business with Social Networking, (Financial Times Press, 2009). Drawing on first hand experience helping to produce the world-renowned TED Conferences, Powell co-founded The Gathering Think Tank, an innovation forum that connects technology, media, entertainment, and business communities. Powell’s consulting services have been employed by corporate, government and new media organizations, including Microsoft, the United Nations, Research in Motion, the Department of Justice and Nokia. A popular keynote speaker, Powell has been featured at Harvard, NYU and MIT’s Innovation Forum. Connect directly with Powell via juliettepowell.com and twitter. Little m media provides strategic guidance and support to organizations around the use of the internet and technology to facilitate communications, engagement, education, and mobilization. He is well known for his expertise in new media, web 2.0, social networks, mobile, community, ecommerce, brand marketing, cause branding, and more. Reich, the author of Media Rules! : Mastering Today’s Technology to Connect With and Keep Your Audience (Wiley 2007). 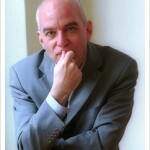 He blogs at Thinking About Media and contributes as a Fast Company Expert. Previously, Reich was a principal of EchoDitto, one of the most successful online communications agencies in the nation, Director of New Media for Cone Inc, a brand strategy and communications agency in Boston and a Senior Strategic Consultant and Director of Boston Operations for Mindshare Interactive Campaigns, an interactive public affairs agency. From 2000 – 2004, Brian ran how own strategic communications firm, Mouse Communications. Reich has worked in and around politics, including helping to direct dozens of campaigns across the country. He spent two years as Vice President Gore’s Briefing Director in the White House, handling both official activities and activities during his 2000 presidential campaign. Brian serves on the board of Investigate West, independent, nonprofit organization dedicated to the art and craft of investigative and narrative journalism. Brian served as an adjunct professor in the Graduate School of Political Management at George Washington University in Washington, DC and is currently teaching a course on consumer behavior and marketing at Columbia University in New York. 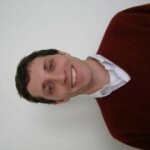 Brian attended the University of Michigan and is a graduate of Columbia University. He and his wife, Karen Dahl, live in New York City with their son, Henry. I was a magician in high school, and I always loved the back and forth with the audience. The feedback. When I started working in the media, I found the whole ‘one way’ thing kind of hollow. I wanted applause if we did well and I wanted rotten fruit if the audience didn’t like a documentary or program we produced. At the first chance I got, I invented a TV series that gave the audience a chance to do more than watch — but actually participate. It was called MTV UNfiltered, and if you haven’t checked it out, you can find it here. Along the way, I’ve made a ton of films, documentaries, and web projects for partners including HBO, Discovery, A&E, MSNBC, and CNN. I’ve also directed a number of feature documentaries, including a film I’m very proud of “7 Days in September” about how New York was affected by the attacks on the World Trade Center. Magnify.net is the incarnation of the way I see the media world evolving. Increasingly, the power is in the hands of the audience. The audience engages, shares, ranks, and validates. I always imagined Magnify.net as a platform that would engage, embrace, and facilitate media creating, sharing, and collective knowledge. I’m passionate about the sounds and pictures that real people create, and excited to help create order from chaos. Mr. Sherry is both a former foreign correspondent and tech start-up executive. He came to the Center in 2005 from USA Today, where he launched their profitable online travel vertical then managed online news coverage for the 2004 elections. He caught the entrepreneurial bug in Asia, where he helped launch a company that deployed broadband Internet and web portals to hotels and in 14 cities and nine countries, and was approved for listing on Hong Kong’s second board. As a journalist, Mr. Sherry was based in Hong Kong, Hanoi, Phnom Penh, Nicosia, and Paris, first for AFP news agency then Dow Jones, where he became politics and policy editor of the Far Eastern Economic Review. Memorable assignments included covering the opening of Vietnam, the fall of Indonesia’s Suharto, and editing the 1996 “scoop of the decade,” the jungle show trial of genocidal Cambodian dictator Pol Pot who had not been seen by outsiders for 18 years. AmericanProgress.org, ThinkProgress.org and ClimateProgress.org — recorded more than 60 million visits and close to 300 million pageviews in 2009. 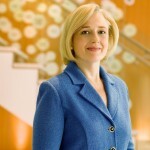 Krista is the vice president of Marketing and Communications for Thomson Reuters OpenCalais Initiative at OpenCalais.com. OpenCalais is a free Semantic Web service and open API that makes it easy to automate content operations, enhance content with open data assets, and increase reader engagement. Krista was formerly senior director of Communications for AOL, director of Communications for Shopping.com, and director of Communications for CMGI + AltaVista. Chris joined Topix from Spoke Software, a business social networking company, where he was a co-founder and VP of marketing. Before Spoke, Chris was a Director of Marketing at AOL/Netscape for AOL Music, Netscape Search and Directory Products. 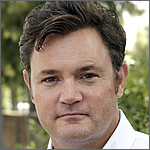 Chris was a co-founder and VP of Marketing at NewHoo, and led the sale of the company to Netscape. After the acquisition, NewHoo was relaunched as the Open Directory Project at Netscape and became the world’s largest human edited directory of the web, and is still used by companies like Google, Alexa and AOL. Previous to NewHoo, Chris held a variety of sales, marketing and management positions at Sun Microsystems. Chris graduated from the University of California at San Diego with degrees in Computer Science and Economics, where he was awarded the Michael J. Addison award for his senior thesis about the online information industry. The National Journal called Suzanne “the best publicist in America.” Her communications campaigns have helped pass more than 40 pieces of legislation. She has worked for Fortune 500 companies, devising branding and marketing campaigns that have moved millions of dollars worth of products. As senior vice president at Fenton Communications for seven years, Suzanne helped grow the firm from four people to more than 100 in three cities. She was Mid-Atlantic regional manager of the high-tech PR firm The Launch Company, where she built the client base and managed a half-million dollars in client billings monthly. 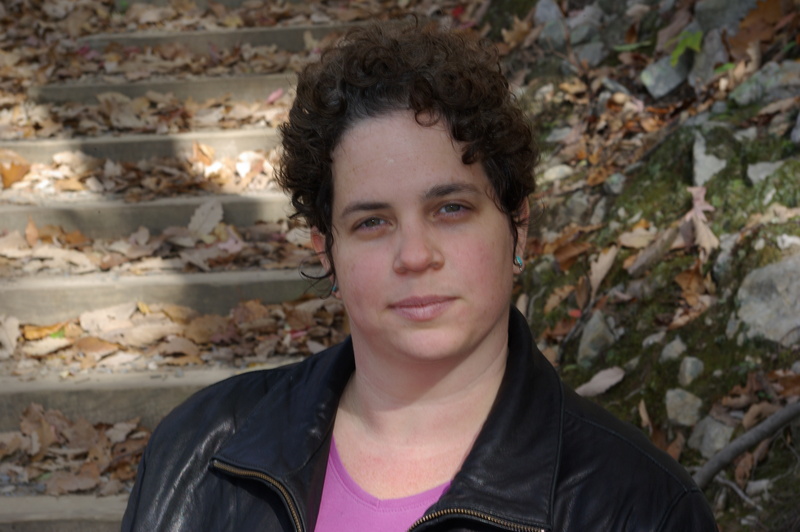 She is co-founder of the Internet Advocacy Center and a founding member of Progressive Communicators of DC. She has also worked as a newspaper and television reporter. She studied at Johns Hopkins School for Advanced International Studies and the Université de Paris IV – La Sorbonne, and holds a BA from the University of North Carolina – Chapel Hill. 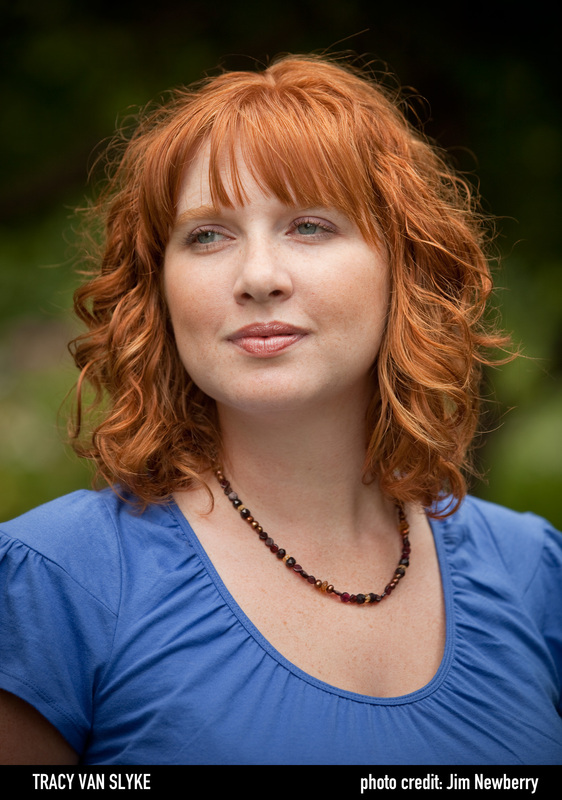 Van Slyke has dedicated her career as a journalist, communications professional and media producer to building a strong independent media infrastructure. She co-authored with Jessica Clark the recently released book, Beyond The Echo Chamber: Reshaping Politics Through Networked Progressive Media. She is currently the Director of The Media Consortium–a network of the nation’s leading, independent, progressive media outlets. Through The Media Consortium she works to organize effective partnerships and innovative projects. Its mission is to amplify independent media’s voice, increase its collective clout, leverage current audiences and reach new ones and seize the current moment to change the debate in this country. Van Slyke is a frequent writer, commentator and consultant on the future of journalism, the use of social media, and the impact of progressive media. In 2009, she commissioned and edited “The Big Thaw: Charting a New Course for Journalism” an influential report that details implications of current and future market trends on journalism and business models and lays out key recommendations for independent media. As one of the most widely respected and knowledgeable leaders in business journalism today, Alan Webber brings audiences unusual depth of knowledge and insight into an economy fueled by information, change and innovation. 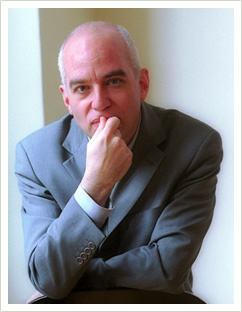 He writes a regular column for USA Today and was the cofounder and former editor of Fast Company magazine. Webber understands the important characteristics of a “fast company”: the ongoing competition for the best people, for great ideas, and for the right way to think about leadership. 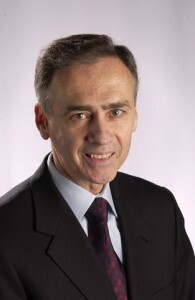 He has co-authored several books including Going Global: Four Entrepreneurs Map the New World Marketplace, a blueprint for how to expand into global markets and Changing Alliances: The Harvard Business School Project on the Auto Industry and the American Economy, an important book on the competitive future of the American auto industry in the global economy. Webber is a former managing editor of the Harvard Business Review, his columns and articles have appeared in numerous national publications, including the Los Angeles Times, The New York Times, The New York Times Sunday Magazine and The Washington Post as well as a former fellow of the U.S.-Japan Leadership Program and a John J. McCloy Fellow. He has worked in the public sector as a special assistant to the U.S. Secretary of Transportation and in several capacities for the city of Portland, Oregon. 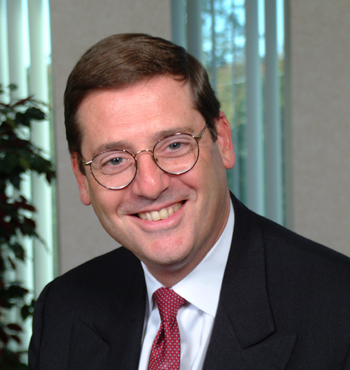 Weiss is a renowned strategic thinker, board participant and experienced senior executive. 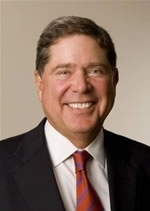 He has been providing corporate leaders, boards, and high net worth investors with counsel and execution assistance, utilizing his ideas and methods, for more than 30 years. 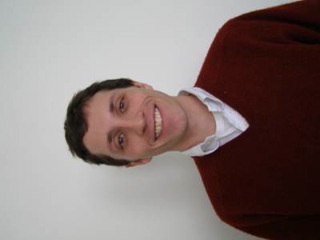 He works in diverse geographies including Asia, Europe, the Middle East and North America. 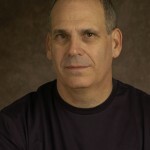 Bill’s areas of expertise include media, telecommunications, information, environmental and emerging technologies. His unique way of analyzing and accessing the business landscape offers a fresh strategic framework for understanding how technology and change can open new growth possibilities. He also brings substantial experience in applying those frameworks for action. Bill’s “Design a Future©” methodology identifies four key principles necessary to gain and maintain success. Clients include Discovery Communications, Ericsson, GE, IBM, Qualcomm, SAS Institute, Steelcase, Toshiba and others. His involvement includes boards of directors, advisory roles, keynotes and executive leadership presentations. 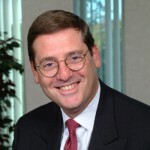 Advisory Board member, eMotive Communications, Inc.
Advisor to the CEO and Executive Team, Discovery Communications, Inc.
Advisor to the Executive Team, Ericsson, Inc.
Bill has a degree in Computer Science, from North Carolina State University. As an early Internet pioneer (an experience chronicled in his book Burn Rate), and student of the media, Wolff has witnessed and written about the revolution in news habits. The collapse of newspapers and the slow death of broadcast news have not meant the death of the news market, but rather a flight of consumers to other news platforms. News consumers want access to a wide range of news sources; they want this new wealth of information presented in an efficient and entertaining way; and they want technological tools to help them cut through the chaos of the web. Newser, launched in late 2007, is Wolff’s effort to help invent the new news.